2016, you’re only half over, yet your verbiage is already making me weary. So well ahead of the year-end glut of vocabulary lists and before Webster crowns its Word of the Year, I’ll submit my own list. To be fair, these are not words that have emerged this year. They have been around, growing slowly, like a cancer. It’s only this year that they’ve hit the tipping point to full-blown annoying. Pivot – I used to like this one, but let’s give it a rest. Or switch / rotate / move / shift to some other word. 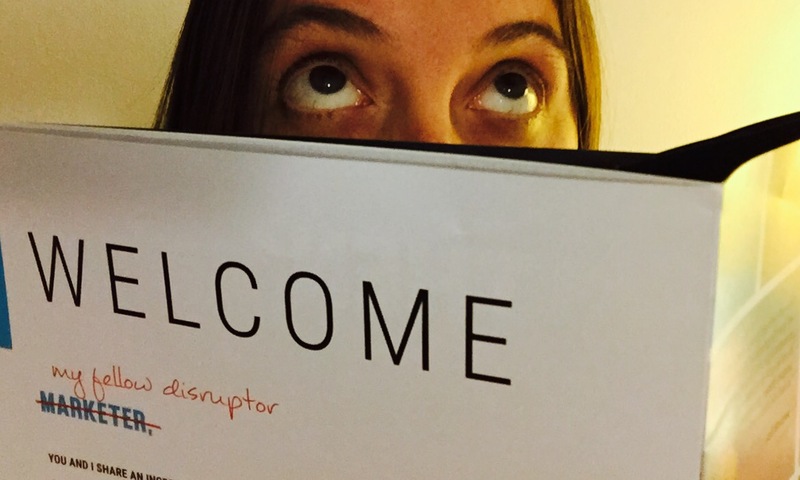 Disruption / disruptor – Some new language for entrepreneurs and the peer economy, please? Anyone? Makes me want to bring the word “maverick” back. Hack / hacker – I just saw a job listing for a Growth Hacker. Translation? Marketing Director. Middle-aged people need not apply. Space (as in field, segment, marketplace or sector) – “We’re disruptors in this space.” Too vague and knowing. Impactful – As if the overuse of “impact” wasn’t bad enough. Is this even a word? I can google a definition, but spell check says no. And then there is a whole new crop of words and phrases emerging in our politics, but that’s for another post. In the meantime, what are your least favorite words and phrases? This entry was posted in Family on July 28, 2016 by aszyper.